Last Cast Guiding - Parksville & District Chamber of Commerce, Parksville, B.C. • Join the Chamber Today! 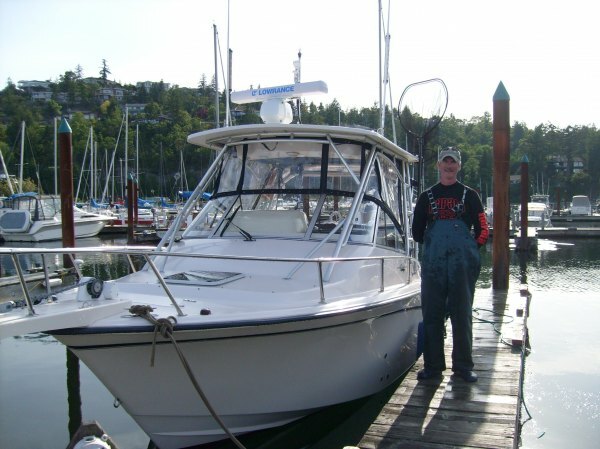 Salmon and Halibut sportfishing charters on Vancouver Island's wild west coast. We operate from Schooner Cove in Nanoose, Port Alberni and Bamfield. We can transport guests from Nanoose and Parksville to Port Alberni. Our charter vessel is a 26.5 foot 2003 Grady White Express. This is a large vessel and meets Transport Canada Small Commercial Vessel Program standards. She will accommodate up to 6 guests comfortably. Captain Pat Ahern is fully ticketed for commercial vessel operation. We only use the best quality fishing tackle, featuring Islander precision reels. We are pro-guide staff for Normak and Rapala. Come explore Barkley Sound, the Broken Islands and enjoy the fantastic wild life. We also offer tours of the Broken Islands to view whales, sea lions and eagles.